According to the American College of Prosthodontists, 36 million Americans don’t have any teeth at all. For people like this, dentures were once the go-to treatment for missing teeth. Dental implants have become a viable option for replacing missing teeth without turning to dentures. 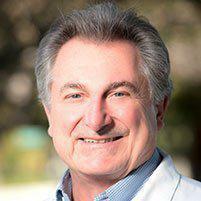 Russell D. di Bari, DDS, of Sunnyvale, California, is ready to help you with dental implants. Book online or call today. Dental implants are a treatment option for missing teeth that serves as an alternative for people who can’t or don’t want to wear dentures. The implant is made from titanium and looks like a screw or post. The implant is surgically placed in the jawbone and is accompanied by dental crowns, which ultimately take the place of missing teeth. If some healthy teeth remain; dental bridges will also be used to fill the gap between missing teeth and healthy neighboring teeth. Youngsters whose teeth are still growing are not candidates for dental implants. However, most adults may be candidates. Important deciding factors are having solid overall health and enough bone and healthy gums to support an implant. People with chronic conditions such as diabetes and leukemia may not be good candidates since their illness can slow down the healing process. Getting dental implants happens over several months because the titanium posts, which will ultimately hold your false teeth, need to fuse to your jawbone. Your gums will be cut during a surgical process, so it’s also important for them to have time to heal properly. The entire process unfolds in three steps. During your first appointment, Dr. di Bari surgically inserts the titanium post into your jaw. Each post represents a missing tooth. To block debris and tissue, he attaches a screw to each implant. Dr. di Bari then secures the gum over the implant and leaves it covered for up to six months. During this time, the implant will fuse to the bone. Once the implant has fused, Dr. di Bari uncovers each implant and attaches a post. He creates a mold and sends it to a laboratory to make a crown for each post, which will take the place of each missing tooth. When the crowns come back from the laboratory, Dr. di Bari attaches them to the posts. In addition to placing implants, Dr. di Bari restores implants in conjunction with a local oral surgeon. If you’ve been thinking about getting dental implants, contact Dr. di Bari of Sunnyvale, California. He’ll have you back to eating all your favorite foods in no time. Make your appointment online or call today.